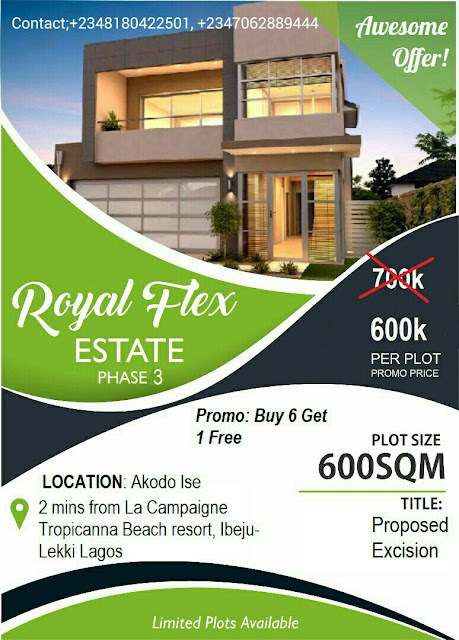 Royal flex estate 3 is an amazing and terrific garden located in a serene environment of the new economic centre of Lagos. It is suitable for strictly residential purpose and easily accessible. 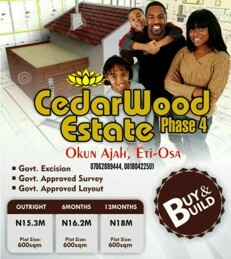 LOCATION: Folu Ise, 2 minutes drive from La Campagne Tropicana Resort Ibeju Lekki Lagos.  Free from any known Government acquisition. GET THIS AMAZING FREE GIFTS. HURRY NOW!